School’s out, but we wanted to share an exciting Artists Institute update on the brand-new, beautifully completed recording studio and main live room at Audio Institute: We Are the World School of Music and Audio Engineering! With the successful completion of this music production facility, next year’s incoming students will be able to write, record, mix, edit, and master their own original songs, all in Jacmel, Haiti. The talent emerging at Artists Institute is inspiring. 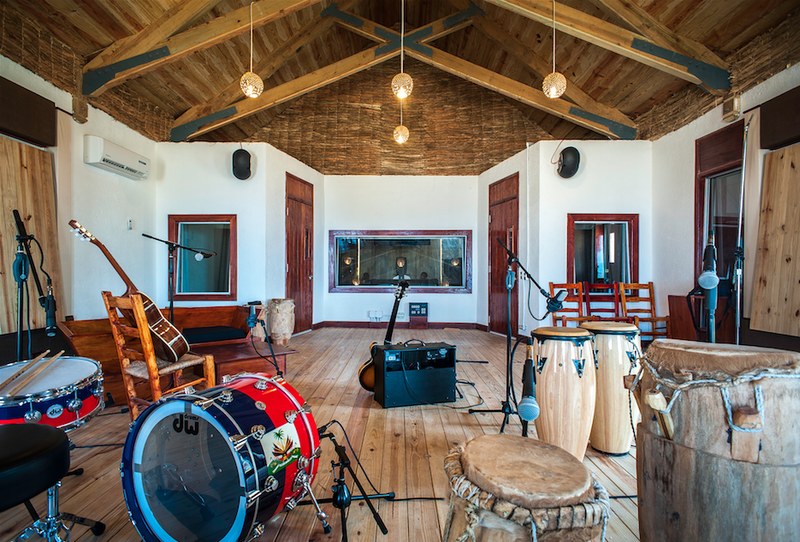 This fully equipped, professional recording studio showcases uniquely Haitian design elements made by local craftspeople and artisans. Stay tuned for more updates and music from our students.